Once you see, feel, smell, hear and eat the Piedmonte you are addicted. 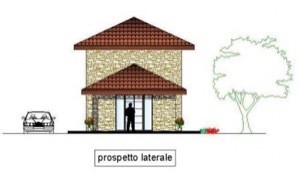 Check our typical and preselected estates: wineyards, rustici, agriturismi, or B&Bs. ... from your owned relax destination. Renovation, restauration, decoration, longterm facility services or rent-out services. We will support you in all your individual needs. Profit from more than 25 years local real estate or project experience. Visit our offices in Italy or Germany. Your dream home lacks a pool? No problem – we will help in planning, organizing and constructing a perfect pool in a perfect location. Modern, ecologic and economic. Please ask for further details here. Looking for an outstanding rural property or a piece of land with ample opportunities? Just outside the small wine village called Loazzolo on the southern slope in a small sidevalley of the Bormida Valley is this plot of land, 2.3 hectares in its size with trees and gorse. 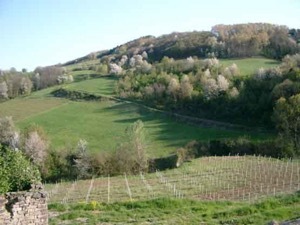 This quiet and sunny place offers wonderful views and is surrounded by forests, meadows and vineyards. The plot is isolated but easily accessible via an asphalt road which leads from the village half a mile through a romantic landscape and ends just behind the property. 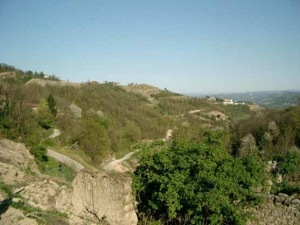 The Asti Spumante capital of Canelli is 9 km in distance, the historic spa-town of Acqui Terme is about 18 km away. On the property was an old farmhouse. At its original base, a new house can be built in the typical old style, on two storeys with up to 210m ² of living space and a generous outdoor area (terraces, swimming pool with sun deck and engine room). The land is terraced and provides many options for use. Behind the original house is a historical grotto/cave. 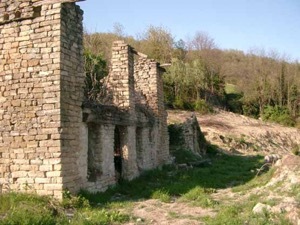 You can purchase this property for only 35.000 Euro. Please ask for an appointment at the property. More details about this property here. You can find the exact location of the property here (opens in new window).